When you’ve decided that you want to drop body fat you’ll want to start an exercise program that is challenging and promotes physical adaptation. Some programs are better than others and little changes here and there can make big differences. When it comes to changing your body composition, building muscle is the way to go. Constantly training for fat loss by incorporating endless hours of cardio can sometimes have a negative effect – it’s tiring, repetitive and ultimately not very productive. In this article we want to tell you why building muscle is the best way to get lean. The amount of energy you burn on a daily basis can be split into two main categories – the energy you use during physical activity and the energy you use to carry out basic functions such as breathing, keeping your heart beating and maintaining brain activity. The energy you burn completing these life-sustaining functions is referred to as your basal metabolic rate (BMR) – essentially it is the amount of energy you use to maintain your body weight if you didn’t move all day. It burns a surprising amount of calories too – around 60-75% of your total daily energy burn (with exercise and a couple of other bits making up the remainder). The best way to elevate your BMR is to pack on more muscle. At rest, an extra pound of muscle burns around 6-10kcal per day . This isn’t a lot at all, but muscle is a very metabolically active tissue so this figure goes up exponentially the more active you are. Basically, the more muscle you have, the higher your metabolic rate is, as incoming calories have to be diverted to muscles to provide them with enough nutrients to sustain their size – this means less is being stored as fat. Additionally, adding weight training to your program also helps to burn fat by increasing the effect of excess post-exercise oxygen consumption (EPOC). This is a process where your body continues to burn calories after the workout to repair muscle damage and restore lost energy. Because of the type of energy pathways heavy weight training uses, you can expect an EPOC effect of up to 24 hours – great for fat loss. All in all, the best way to ensure that your muscles are increasing your metabolism is to use them. Weight training builds muscle much better than cardio does, so including resistance training in your fat loss program will give you great results. The hardest part of any fat loss program is the dieting – restricting calories leaves you in a constant state of hunger. You can fell tired, emotional and ‘hangry’ (angry caused by hunger!). It get worse though as without the help of a fat burner supplement you have to restrict your calories more and more, the leaner you get. The lower your calories go, the more muscle you’ll lose too. If all you do is cardio you can expect to lose a lot of muscle, and as we discussed in point #1, that’ll mean a big drop in metabolism. Building muscle helps you to offset this and keep your fat burning firing on all cylinders. Having more lean muscle means you can up your daily calories and still lose fat. To be blunt, this isn’t a licence to eat anything and everything you want to – but it does allow you to have a slightly less restricted approach to eating and still achieve body recomposition. Aiming for higher protein means you’ll maximize protein synthesis – the process by which the protein you eat is converted into muscle tissue. To achieve this you should be hitting around 1.8-2.0g per kg of your body weight from lean sources of protein. Additionally, protein has a high thermic effect of food meaning that your body increases its metabolism in order to break down and digest it. The thermal effect of food is highest in protein, where your metabolism will increase by 30%, and much lower in fat and carbs where it’ll only increase by 4% and 6% respectively . Most people understand the value of getting stronger, and as the old saying goes – there are no bad points being strong. The ability to generate force using your muscular system is such a transferable skill that it should be pretty much essential to any fat loss program. Strength reduces fatigue meaning you can train harder for longer, making you much more efficient. The weights you lift will have a better stimulus on the body too and you’ll be lifting a relatively heavier weight – this challenges the body and forces it to burn more fuel. Finally, increasing your strength can also optimize your fat burning hormones. 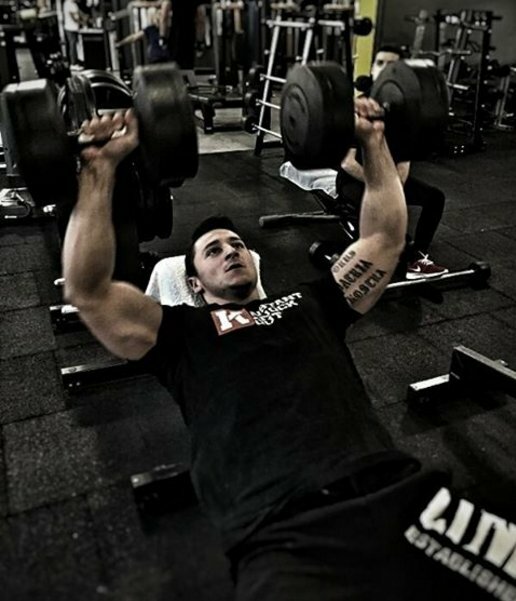 To get stronger you have to lift heavy – and it is this stimulus that triggers anabolic hormones such as testosterone and growth hormone to go up. A study published in the European Journal of Applied Physiology  for example, found that when participants underwent a 4-week strength training program, their testosterone increased by 40%. Interestingly, their cortisol levels went down by 24% too – this is a hormone notorious for eating away at your muscle mass and elevating your belly fat levels, so any reduction is a good thing. Having more muscle improves your insulin sensitivity meaning that your cells can better respond to blood glucose. More muscle mass allows you to absorb more glucose into the muscle itself, ready to be stored as glycogen and used as energy when needed. Anaerobic exercise such as weight training requires a high demand for glucose and as such helps improve the way in which insulin is used. When stored in the muscle, glycogen gives you a fuller, more muscular look – but more importantly it allows you to store more energy for your workouts. Insulin itself is a highly anabolic hormone, helping your body to shuttle nutrients into the muscle ready to be converted into protein cells. This is turn helps you create bigger, leaner muscles. It also metabolizes fat cells helping you to drop body fat . When insulin is high, the body finds it harder to use fat for energy. To maximize fat loss you want to create an environment where insulin levels are low and fat is burned easier – having a more muscular, toned physique achieves this. Studies show that for every 10% increase in muscle mass, your insulin sensitivity decreases by 10% too – this can lead to drastic reductions in body fat and a much healthier body composition. With any fat loss or general exercise program, the key to success is adherence. As soon as you start to miss sessions due to boredom, lack of motivation or even loss of interest you are more likely to quit altogether. A number of research papers have analyzed the adherence rates of strength training compared to traditional cardio and found that muscle building programs tend to be more successful. For example, in a study of older women published in Clinical Interventions in Aging , 49% of participants adhered to an aerobic training program, whereas 56.2% stuck to a muscle strengthening program. A similar study, this time published in Physiotherapy  found that a muscle building program was adhered to successfully by a small group of young people. When asked why they completed the program, variety, autonomy and the effort involved in completing the program were given as the main personal reasons. The key when undertaking an exercise program is to stick to exercise that you enjoy. There are so many options with strength exercise that you’ll soon find something that you enjoy, and therefore are more likely to stick with. It is also very easy with strength training to incorporate other principles of fitness such as cardiovascular, health and flexibility too that you can’t get from other types of training. How Can I Lose Weight and Gain Muscle?